The statistic shows the population density in Canada from 2007 to 2017. 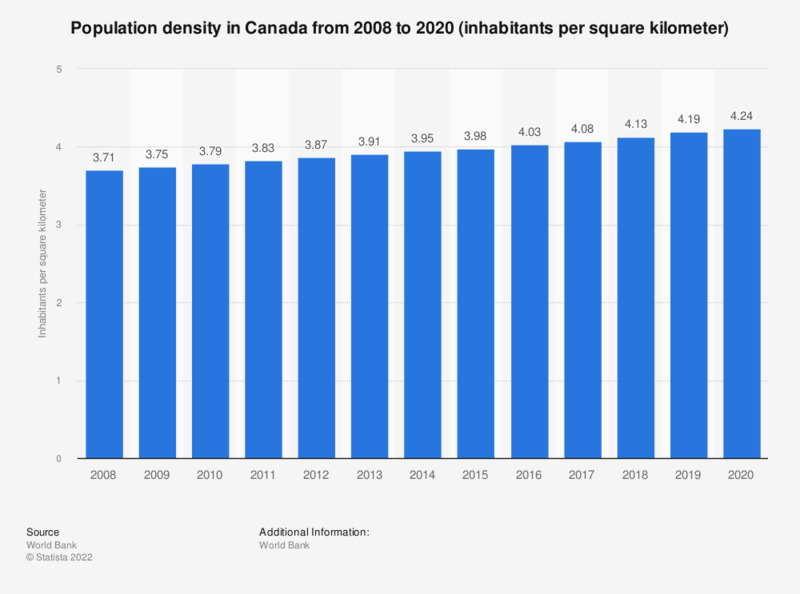 In 2017 the population density in Canada was around 4.04 inhabitants per square kilometer. The country has one of the lowest population densities in the world, as the total population of Canada is very small in relation to the dimensions of the land.